Here is the quilt I made for my new granddaughter, Alice. 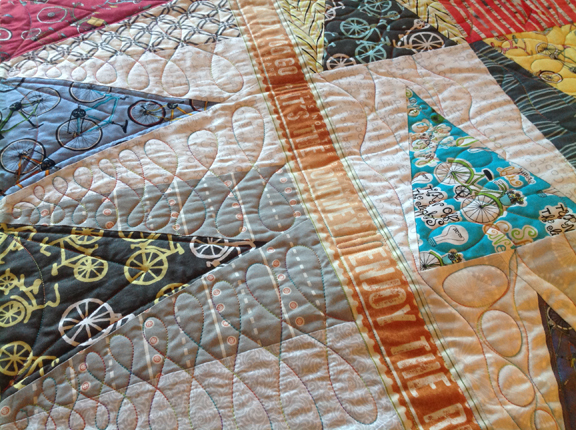 The wedding quilt for my daughter and son-in-law had 'bicycle themed' fabrics, so I thought Alice should have one too! 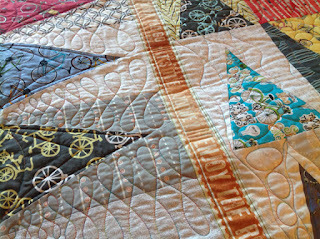 Coming soon.....a new pattern based on Alice's quilt will be released later this year using a collection called Tee Pee Time from Northcott. 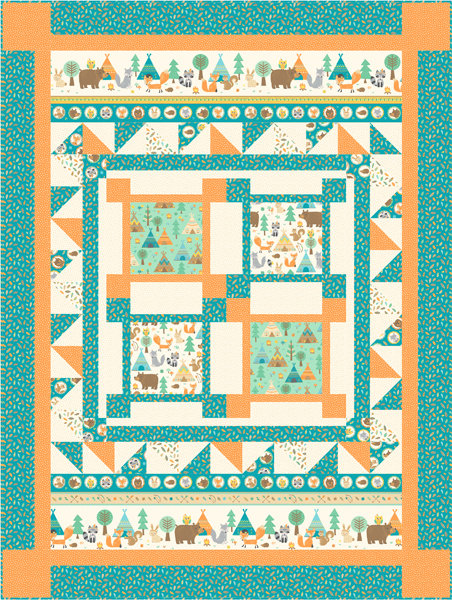 This is wonderful Cuddle Comfort Flannel and the pattern will have 2 quilt sizes, including one that uses the 24" x 42" panel. 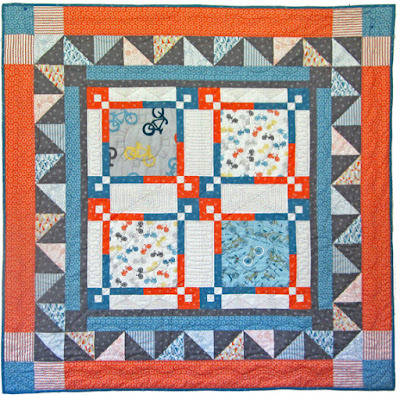 Sign up for my F.R.E.E Newsletter (in the right sidebar) to be the first to know when this pattern is available. You will receive a free pattern (and more) as my Thank You.